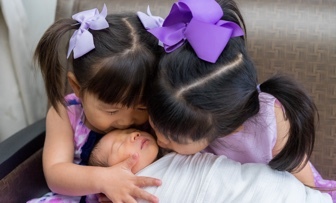 Update 1/10/19: Gone again! I wish they would just tell you they aren’t taking applications instead of pulling all the information down completely. Update 12/13/18: Looks like they brought this account back and are accepting new applications again. Update 11/4/18: Looks like this one got pulled early. Right now I only see the Money Market 3 account available at 1.80% APY. EBSB Direct has a new High Yield Statement Savings Account that pays 2.50% APY on balances between $5,000 and $1 million. No interest is paid if your balance is below $5,000. $50 minimum to open. If you are an existing EBSB Direct customer, to open this account you must deposit new money from another financial institution. Interest is compounded monthly and credited monthly. There is a $25 fee if you close the account within 180 days of opening. 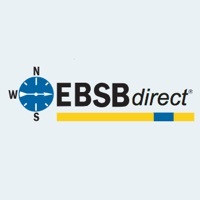 EBSBDirect.com appears to be the nationally-available, online division of East Boston Savings Bank. However, be careful not to apply at the main bank website EBSB.com unless you are a resident of MA, RI, or NH as they will reject your application. I guess the checking accounts and branches are only for locals. This account is notable as it is the first nationally-available savings account to reach 2.50% APY. Unfortunately, there is no rate guarantee period. I’m hesitant to open yet another bank account without a rate guarantee or a locked-in CD, but hopefully the other banks will catch up soon. As of January 2019, the second-highest rate is from CIT Bank at 2.45% APY. Check out my Ultimate Rate-Chaser Calculator to get an idea of how much extra interest you’d earn if you are moving money between accounts. EBSB Direct’s customer experience is well below the standard set by Ally. I opened one of these accounts recently and managed to get it funded but if I had it do over again I’d pass. Next: Robinhood (Not a) Checking Account 3% APY: SIPC Insurance Mean?